The Lenovo Flex System™ EN6131 40Gb Ethernet Switch in conjunction with the EN6132 40Gb Ethernet Adapter offer the performance that you need to support clustered databases, parallel processing, transactional services, and high-performance embedded I/O applications, which reduces task completion time and lowers the cost per operation. This switch offers 14 internal and 18 external 40 Gb Ethernet ports that enable a non-blocking network design. It supports all Layer 2 functions so servers can communicate within the chassis without going to a Top-of-Rack (ToR) switch, which helps improve performance and latency. The Lenovo Flex System™ EN6131 40Gb Ethernet Switch in conjunction with the EN6132 40Gb Ethernet Adapter offer the performance that you need to support clustered databases, parallel processing, transactional services, and high-performance embedded I/O applications, which reduces task completion time and lowers the cost per operation. This switch offers 14 internal and 18 external 40 Gb Ethernet ports that enable a non-blocking network design. It supports all Layer 2 functions so servers can communicate within the chassis without going to a Top-of-Rack (ToR) switch, which helps improve performance and latency. The EN6131 40Gb Ethernet Switch is shown in Figure 1. 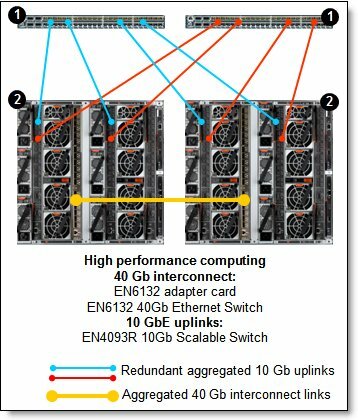 The 40 Gb Ethernet solution that is offered by Lenovo Flex System can deploy more workloads per server without running into I/O bottlenecks. If there are failures or server maintenance, clients can also move their virtual machines much faster by using 40 Gb interconnects within the chassis. The Flex System 40 GbE solution offers the highest bandwidth without adding any significant power impact. It can also help increase the system usage and decrease the number of network ports for further cost savings. Table 1 shows the part numbers for ordering the EN6131 switch. Note: No QSFP+ (quad small form-factor pluggable plus) transceivers or cables are included with the switch. They must be ordered separately (see Table 2). The switch does not include a serial management cable. However, Flex System Management Serial Access Cable, 90Y9338, is supported and contains two cables, a mini-USB-to-RJ45 serial cable and a mini-USB-to-DB9 serial cable, either of which can be used to connect to the switch module locally for configuration tasks and firmware updates. Table 2 lists the supported cables and transceivers. Fourteen internal full-duplex 40 Gigabit ports (10, 20, or 40 Gbps auto-negotiation). One internal full-duplex 1 GbE port that is connected to the chassis management module. Eighteen ports for 40 Gb Ethernet QSFP+ transceivers or QSFP+ DAC cables (10, 20, or 40 Gbps auto-negotiation). QSFP+ modules and DAC cables are not included and must be purchased separately. One external 1 GbE port with RJ-45 connector for switch configuration and management. 40 Gb Ethernet ports for extreme bandwidth and performance. 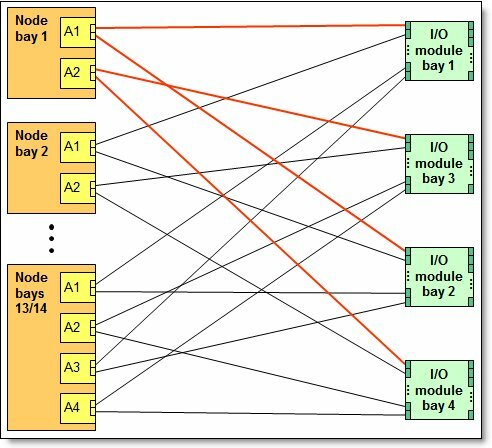 Non-blocking architecture with wire-speed forwarding of traffic and an aggregated throughput of 1.44 Tbps. Support for up to 48,000 unicast and up to 16,000 multicast media access control (MAC) addresses per subnet. Static and LACP (IEEE 802.3ad) link aggregation, up to 720 Gb of total uplink bandwidth per switch, up to 36 link aggregation groups (LAGs), and up to 16 ports per LAG. Support for jumbo frames (up to 9,216 bytes). IGMP v1 and v2 snooping to limit flooding of IP multicast traffic. Fast port forwarding and fast uplink convergence for rapid STP convergence. IEEE 802.1D STP for providing L2 redundancy. IEEE 802.1w Rapid STP (RSTP) provides rapid STP convergence for critical delay-sensitive traffic such as voice or video. Up to 4094 VLANs are supported per switch, with VLAN numbers 1 - 4094. 802.1Q VLAN tagging support on all ports. Up to 24,000 rules with VLAN-based, MAC-based, protocol-based, and IP-based access control lists (ACLs). Support for IEEE 802.1p traffic processing. Traffic shaping that is based on defined policies. Four Weighted Round Robin (WRR) priority queues per port for processing qualified traffic. IPv4 and IPv6 host management. Simple Network Management Protocol (SNMP V1, V2, and V3). Industry standard command-line interface (IS-CLI) through Telnet, SSH, and serial port. Link Layer Discovery Protocol (LLDP) to advertise the device's identity, capabilities, and neighbors. Firmware image update (TFTP, FTP, and SCP). Network Time Protocol (NTP) for clock synchronization. Switch LEDs for external port status and switch module status indication. Port mirroring for analyzing network traffic passing through the switch. Change tracking and remote logging with the syslog feature. Support for sFLOW agent for monitoring traffic in data networks (separate sFLOW collector/analyzer is required elsewhere). The EN6131 switches are installed in the I/O module bays in the rear of the Flex System chassis, as shown in Figure 2. Switches are normally installed in pairs because ports on the I/O adapters that are installed in the compute nodes are routed to two I/O bays for redundancy and performance. The Flex System EN6131 40Gb Ethernet Switch can be installed in bays 1, 2, 3, and 4 of the Enterprise Chassis. A supported Ethernet adapter must be installed in the corresponding slot of the compute node. In the compute nodes that have an integrated dual-port 10 GbE network interface controller (NIC), NIC ports are routed to bays 1 and 2 with a specialized periscope connector, and the adapter is not required. However, when needed, the periscope connector can be replaced with the adapter. In such a case, the integrated NIC is disabled. 4-port 10 GbE adapters: With 4-port 10 GbE adapters, only up to two adapter ports can be used with the EN6131 switches (one port per switch). 8-port 10 GbE adapters: 8-port 10 GbE adapters are not supported by the EN6131. See Table 5 for a list of supported adapters. Table 3 shows compatibility information for the EN6131 and Flex System chassis. The connections between the adapters that are installed in the compute nodes to the EN6131 switches that are installed in the chassis I/O bays are shown in Figure 3. The figure also shows both half-wide compute nodes, such as the x240 with two adapters, and full-wide compute nodes, such as the x440 with four adapters. Table 4 shows the connections between the adapters that are installed in the compute nodes to the EN6131 switches that are installed in the chassis. Table 5 lists the Ethernet I/O adapters that are supported by the EN6131 40Gb Ethernet Switch. * The Embedded 10Gb Virtual Fabric Adapter is included in some models of the x240, x440, and X6 compute nodes. # With 4-port 10 GbE adapters, only up to two adapter ports can be used with the EN6131 switches (one port per switch). The adapters are installed in slots in each compute node. Figure 4 shows the locations of the slots in the x240 Compute Node. The positions of the adapters in the other supported servers are similar. Figure 5 shows the front panel of the Flex System EN6131 40Gb Ethernet Switch. Green power LED indicates that the module passed the power-on self-test (POST) with no critical faults and is operational. Identify LED: This blue LED can be used to identify the module physically by illuminating it through the management software. The fault LED (switch error) indicates that the module failed the POST or detected an operational fault. Eighteen external QSFP+ ports for 10 Gbps, 20 Gbps, or 40 Gbps connections to the external network devices. An Ethernet physical link LED and an Ethernet Tx/Rx LED for each external port on the module. One mini-USB RS-232 console port that provides an additional means to configure the switch module. This mini-USB-style connector enables the connection of a special serial cable (the cable is optional, and it is not included with the switch. See the "Part number information" section for details). The network cables that can be used with the EN6131 40Gb Ethernet Switch are shown in Table 6. There is a 1-year, customer-replaceable unit (CRU) limited warranty. 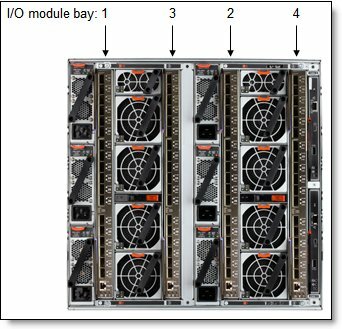 When installed in a chassis, these I/O modules assume your system’s base warranty and any Lenovo warranty service. A typical application of the end-to-end 40 Gb Ethernet connectivity includes high performance computing (HPC) interconnects and an enterprise data center's highly available production network. In this configuration, there are two networks: a production network and an interconnect network. The production network consists of EN4093R 10Gb Scalable Switches that are connected to the RackSwitch™ G8264 10 GbE switches through redundant aggregated 10 Gb uplinks. The interconnect network consists of EN6131 switches connected to each other through 40 Gb aggregated uplinks. The topology is shown in Figure 6. The solution components that are used in the HPC configuration that is shown in Figure 6 are listed in Table 7. Note: You also need QSFP+ modules and optical cables or QSFP+ DACs (not shown in Table 6; see Table 2 for details) for the external connectivity. 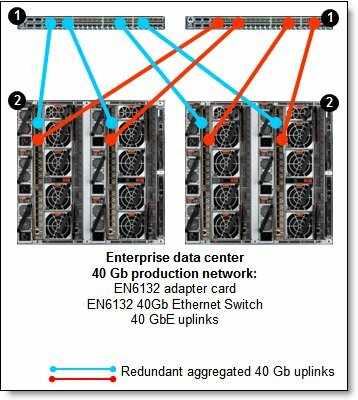 In this configuration, a production network consists of EN6131 40Gb Ethernet Switches that are connected to the G8332 40 GbE upstream network switches through redundant aggregated 40 Gb uplinks (Figure 7). The solution components that are used in the enterprise data center network configuration that is shown in Figure 7 are listed in Table 8. Note: You also need QSFP+ modules and optical cables or QSFP+ DACs (not shown in Table 7; see Table 2 for details) for the external 40 Gb Ethernet connectivity.